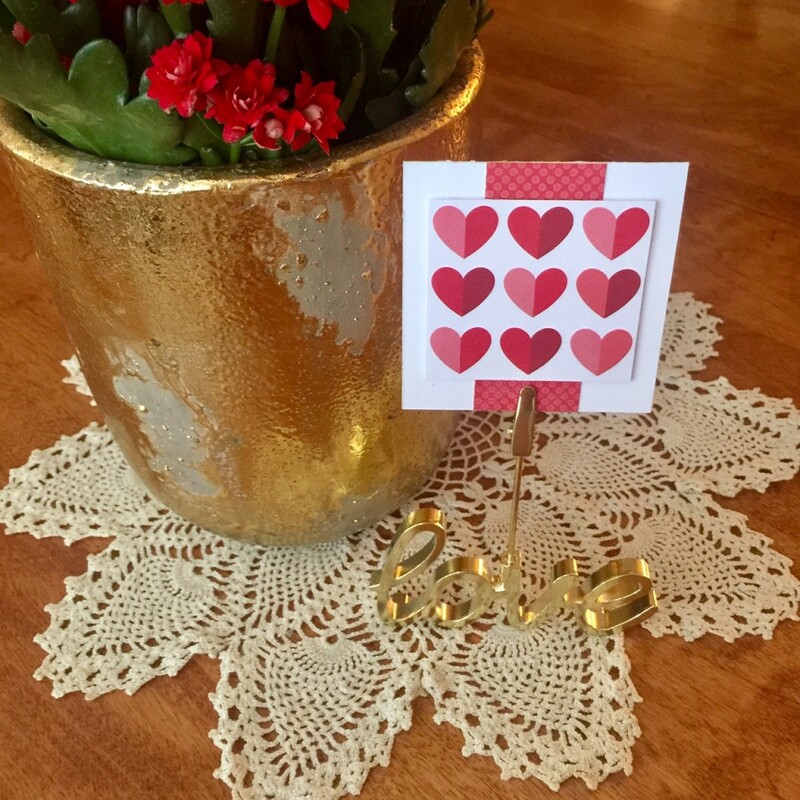 We’ve probably all got a few Valentine decorations adorning our houses for the month of February…..but I think it’s fun to have a few love and heart themed design elements in our homes that we can leave up all year-long! 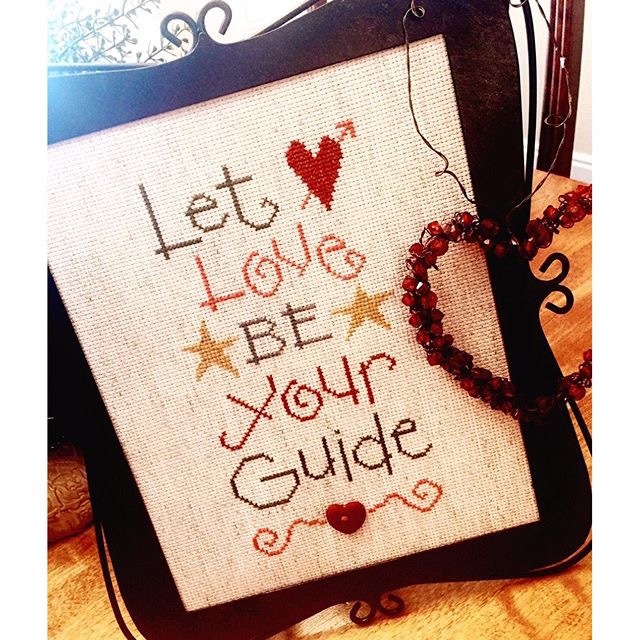 In this crazy world we live in, it seems like a good idea to have some little reminders around our homes to help us remember that love will always be the stabilizing factor that helps us through the ups and downs of everyday life! 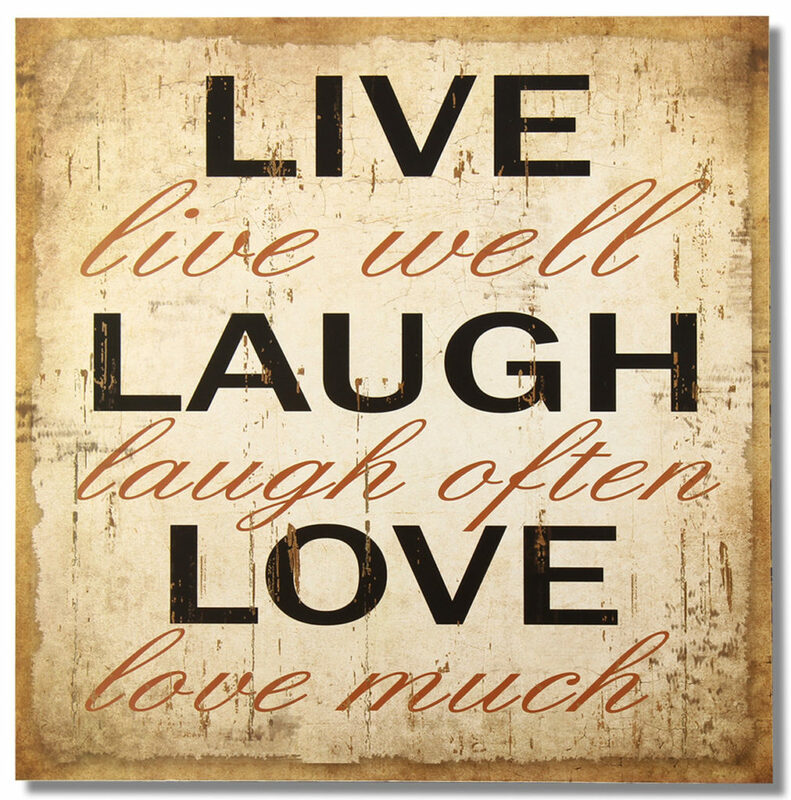 A canvas sign like this sat on a hall table of my parent’s home for many years, and served as a timeless reminder for me to embrace all that life has to offer! 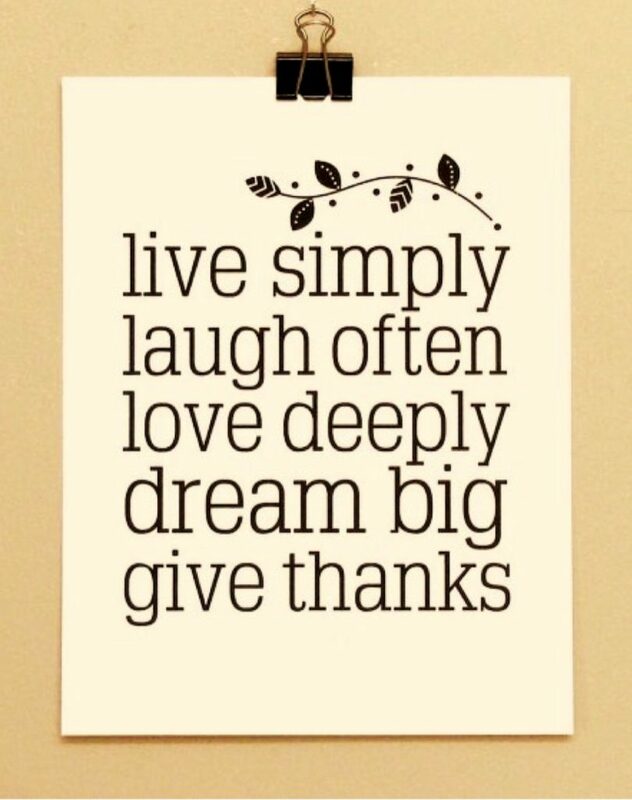 I like the updated version of this message via Zazzle, hung in such a clever way. 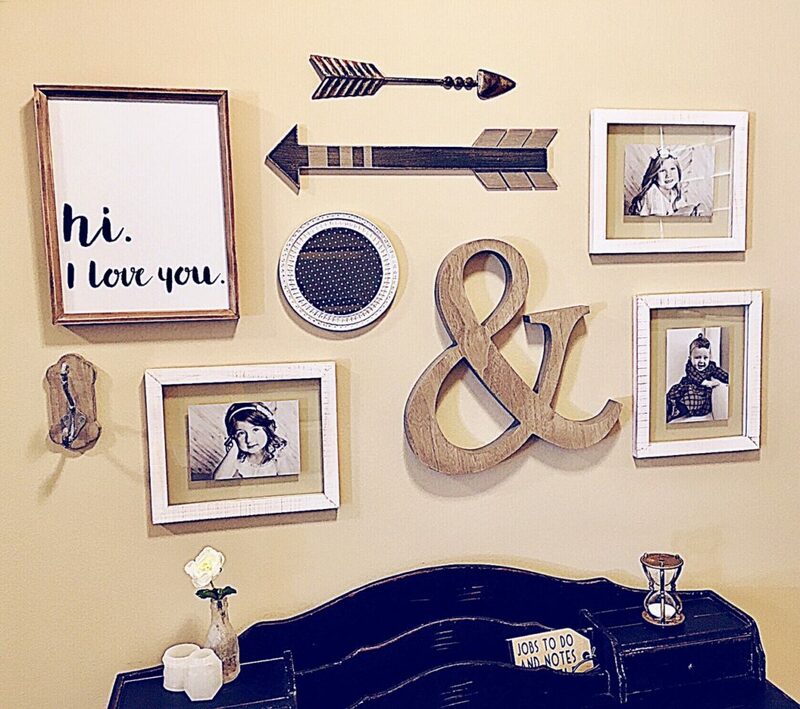 As I’ve mentioned before, my oldest daughter, Malia, is an interior designer, so it comes as no surprise that she has a flair for including unique love and heart design elements in her home that make it warm and welcoming…..I can attest to the fact that it feels like you’re getting a big hug as you enter her cute house! This sweet greeting is the focal point of a collage Malia hung on a loft wall by her girl’s bedrooms where they play and do homework. 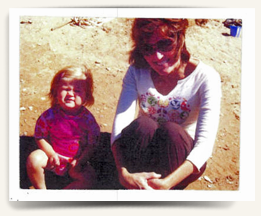 Her daughter, Makena, told her she loved reading it when she ran up the stairs to her bedroom after school. The double-sided glass of the white frames makes it easy to change-out photos. I have a neat friend, Hayley, who has been remodeling her home over the past year, and she has one of my favorite love quotes hanging in her cute kitchen. 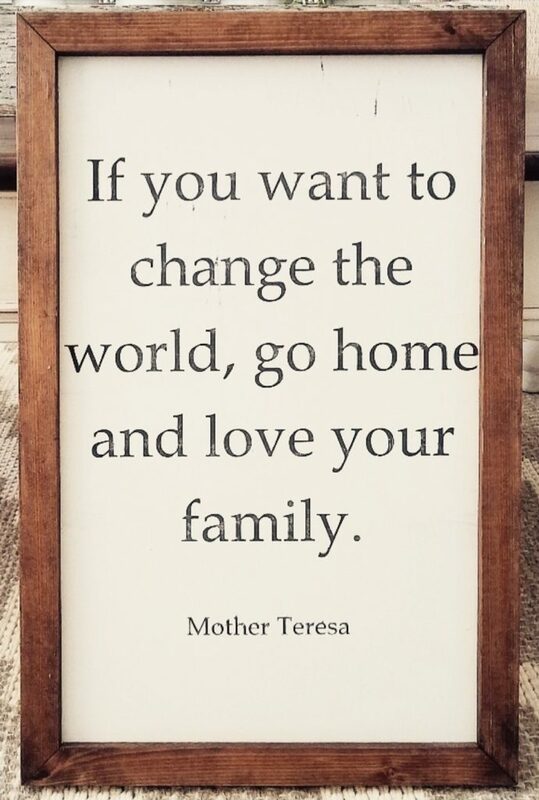 These are a few other heartfelt signs that I love! 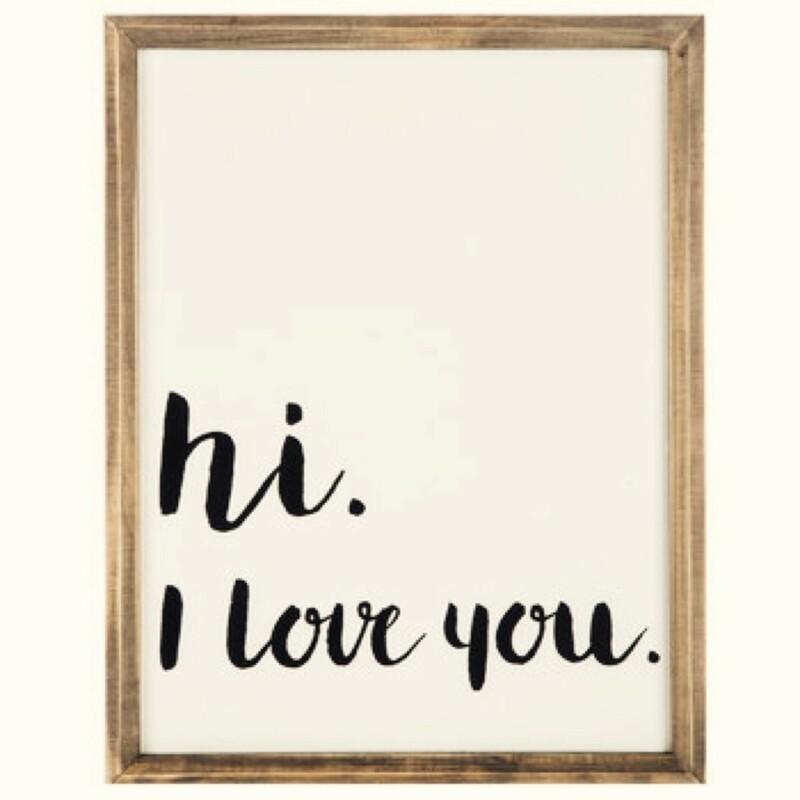 No matter your home décor style, there seems to be a unique framed love quote that will fit in perfectly! 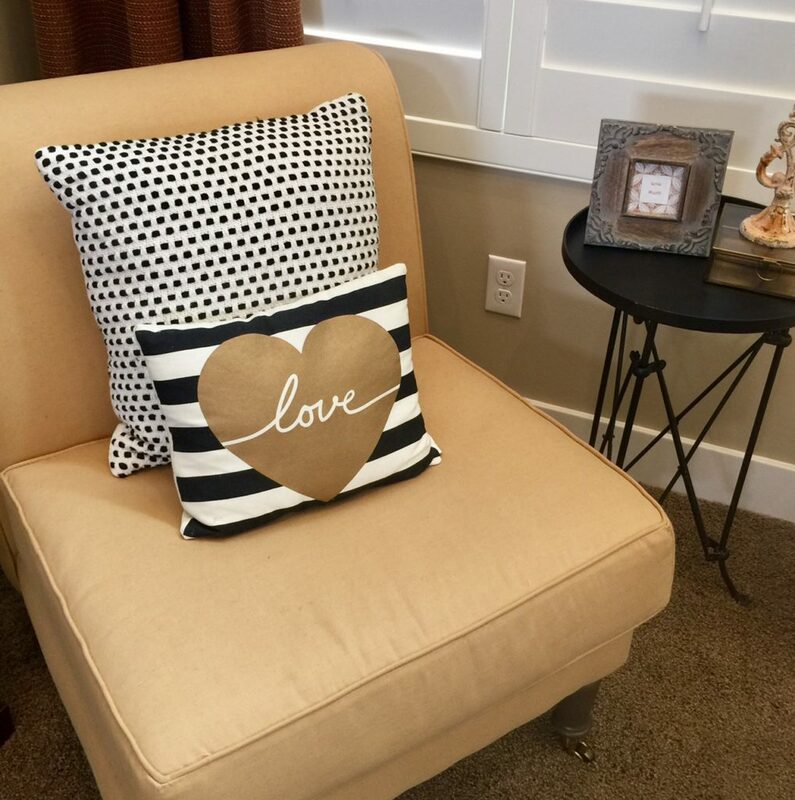 Decorative pillows are an easy and fairly inexpensive way to spread a little love around your home. 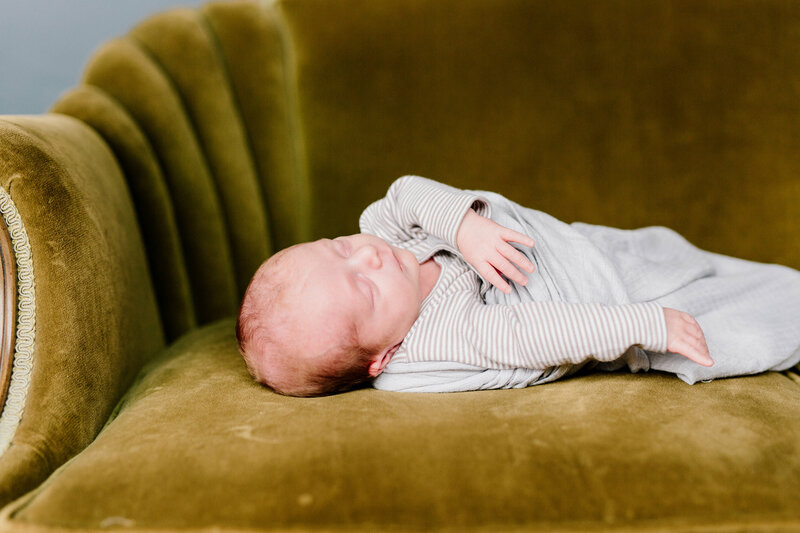 While it’s definitely fun for getting into the Valentine spirit, Malia likes to leave this pillow out all the time…..a subtle reminder to always have love at home! I like to decorate with pillows too. 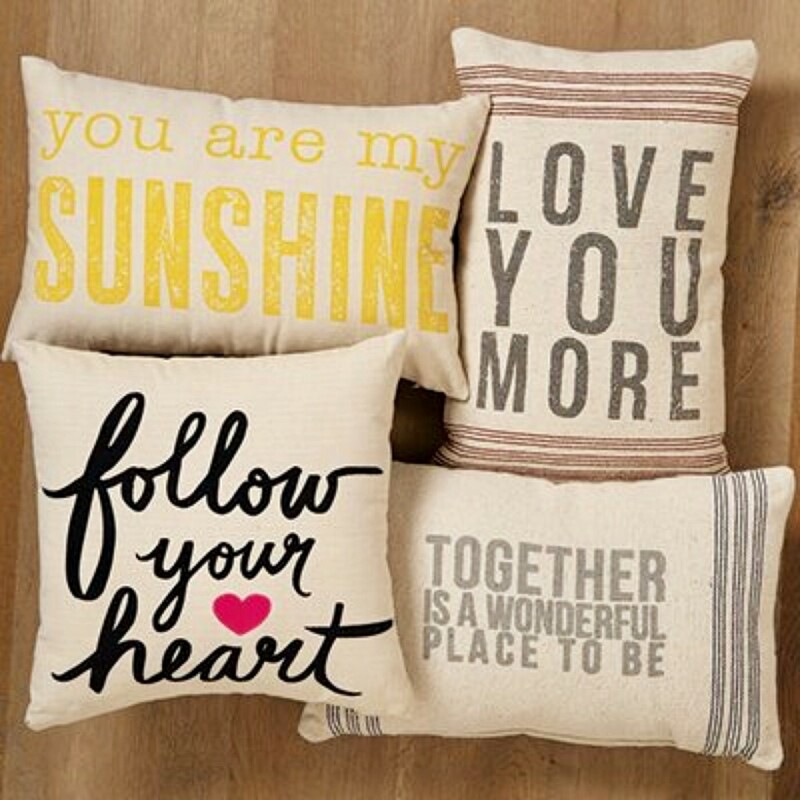 I especially love these fun flour sack pillows! 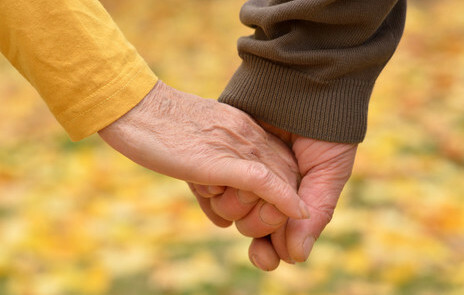 Oftentimes, it’s the little accessories or sentimental items from loved ones we place around our houses that have the biggest impact on giving it a special, personalized feeling of warmth and love! My sweet hubby gave me this wood love plaque several years ago when we first moved into our house. 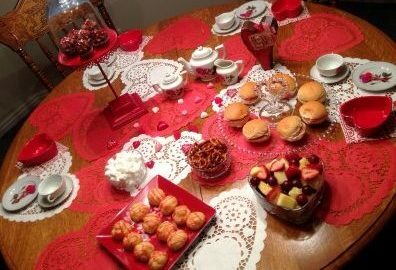 While I may add some Valentine’s decorations during the month of February, it sits on our living room table all year to help us remember that first and foremost, we want to create an atmosphere of love in our home!! 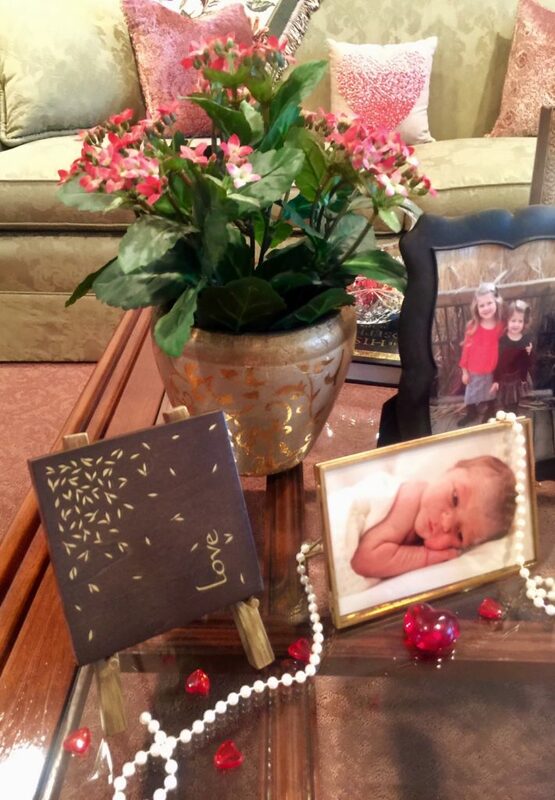 Again, my friend, Hayley, shared this special flower heart that is on her 13 year old daughter’s dresser to remind her every day that she is loved. Next to it sits a bunch of pink peonies, her grandma’s favorite, who had over a dozen bushes in her yard. Whenever it’s possible, Hayley likes to have fresh ones in her home. 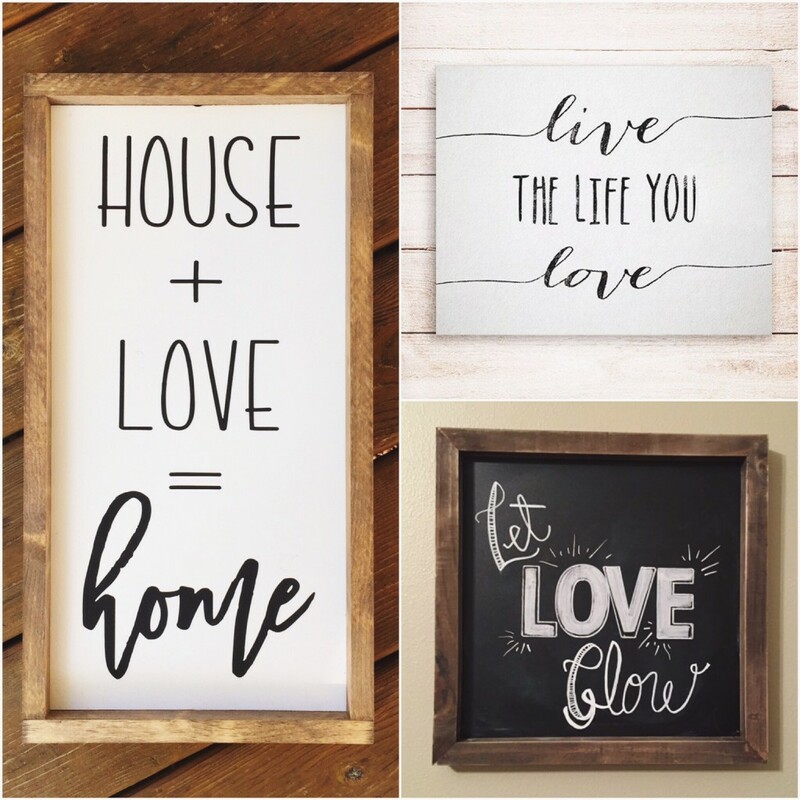 While I’m not one to invest too much on home design trends that seem a bit fleeting, there are a few out there that are fun additions to any love at home décor! 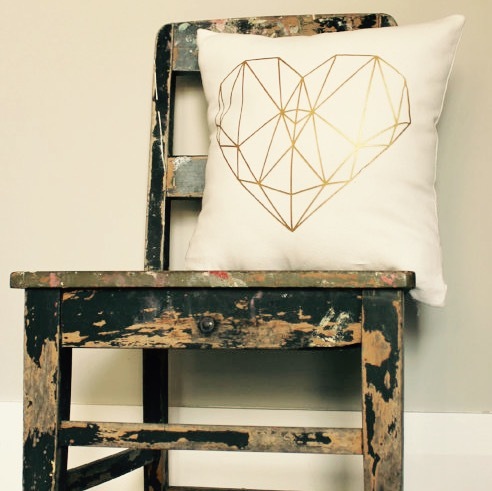 I love the trend of blending design styles that is so popular now…..like the look of this vintage chair with the more modern, geometric pillow. Such fun love décor. 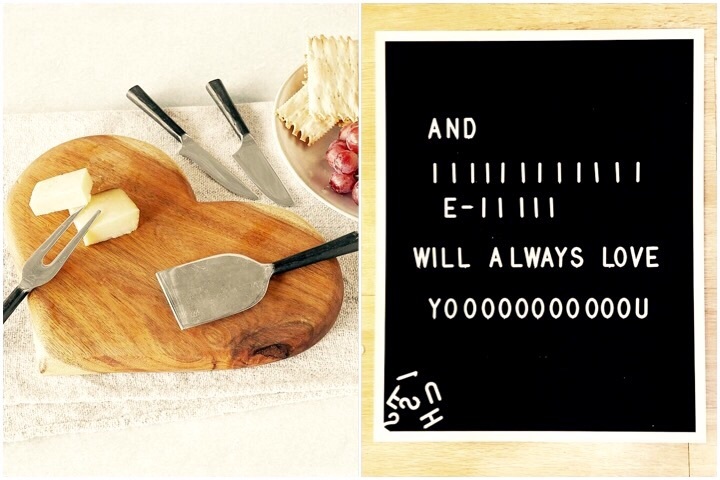 Cutting boards in different shapes and sizes stacked on your kitchen counter are definitely on trend now, so why not add a heart one to the mix like this one from Sundance catalog. Also, how fun are the variety of letter boards available these days where you can change the quotes depending on the holiday or your mood. 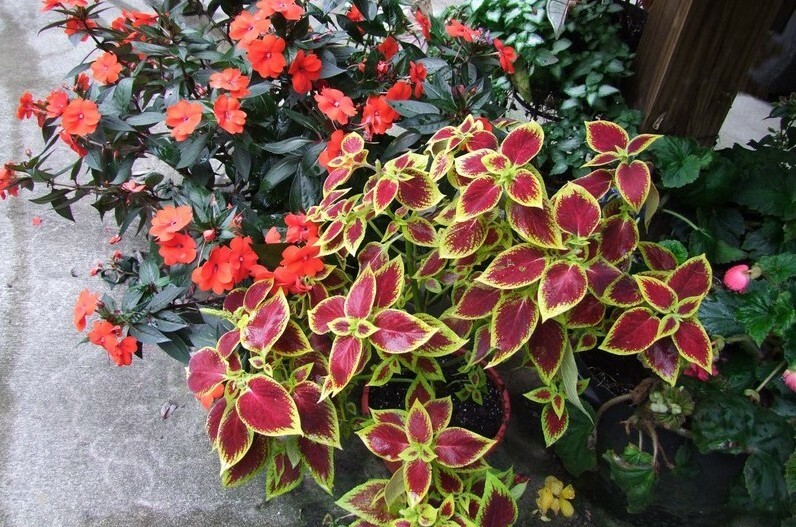 Even when gold isn’t as trendy as it is now…..I will always love it in my home! 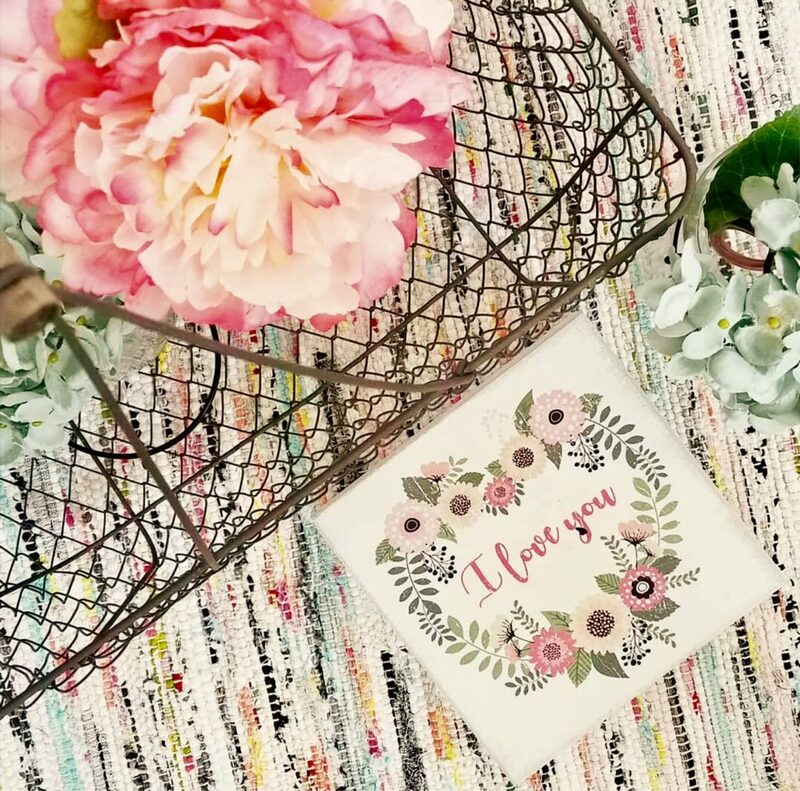 There are so many décor options available to showcase love in our homes, but let’s never forget that the best part of love is to sincerely share it with others! 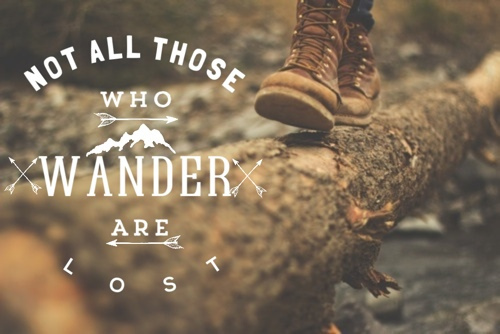 I hope you always find ways to surround yourself with love! 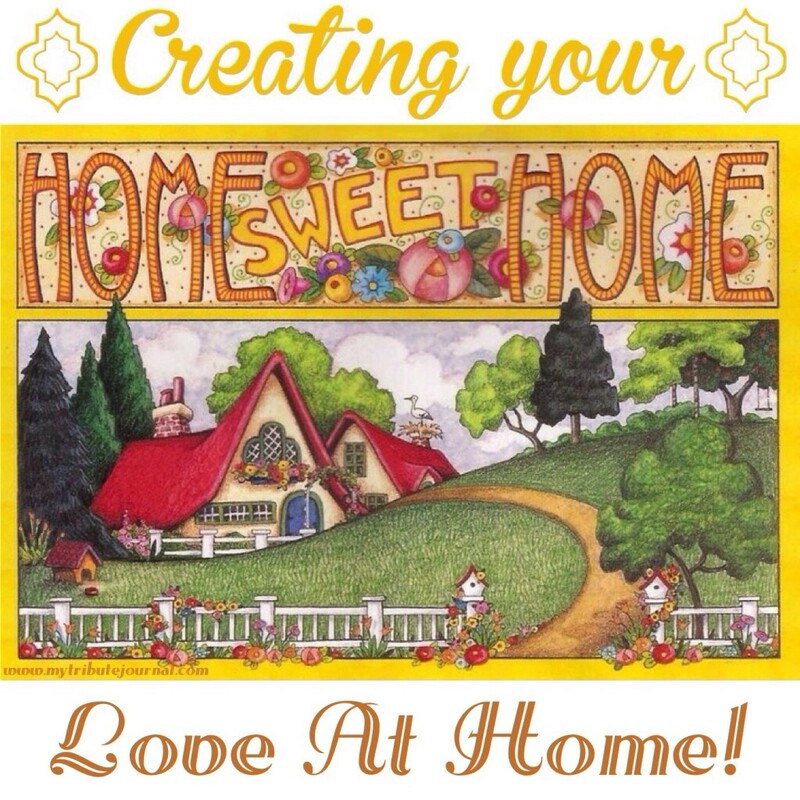 What special décor do you have in your home that inspires you to love better? 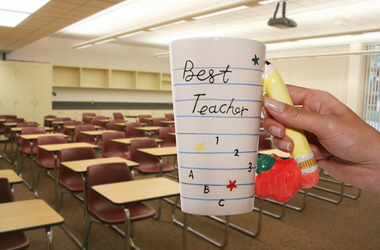 Comment about them below and you’ll get a chance to have one of the gold love clips sent to you!